Your premiere choice for a significantly different tattooing experience. 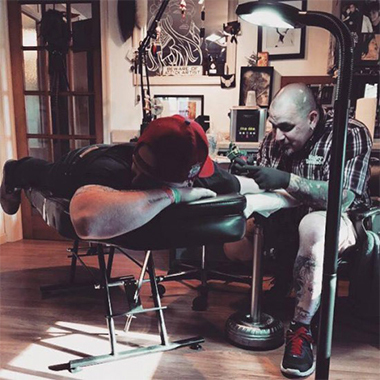 Amaryllis stands out as an exceptionally friendly, honest, and client focused tattooing experience in a professional and welcoming environment. Whether its your first or your thousandth piece… Our artists have experience to accommodate the connoisseur and the patience and knowledge to spend time walking the first time novice through the process from start to finish.